The only part of her life-changing car ride that 7-year- old Madison “Maddy” Phillips remembers is playing an alphabet game with her 6-year- old friend Tori Gibbs, Tori’s brother Ricky, and Tori’s grandmother Donna. In the game, the first person to locate and name an item beginning with a given letter wins. Then, the girls’ memories are blank. The lives of Maddy and Tori and their mothers—Candice Wells and Stephanie Gibbs—were forever changed that late Thursday afternoon, July 1, 2010. Maddy and Tori were en route to a soccer Bible camp when their car was struck by an oncoming semi-truck. Although the girls remember nothing of the accident, their mothers “remember it like it was yesterday.” Tori’s grandmother, the driver, died tragically at the scene; the girls sustained near-fatal injuries; Ricky was in stable condition, suffering from only a concussion, as he was furthest away from the impact. Newstead Fire Company responded to the scene immediately, and knew right away that they had to contact Mercy Flight. After their timely call for assistance, Mercy Flight was dispatched to the scene, originally thinking they’d airlift only Tori. Her injuries appeared the worst and she was unconscious. 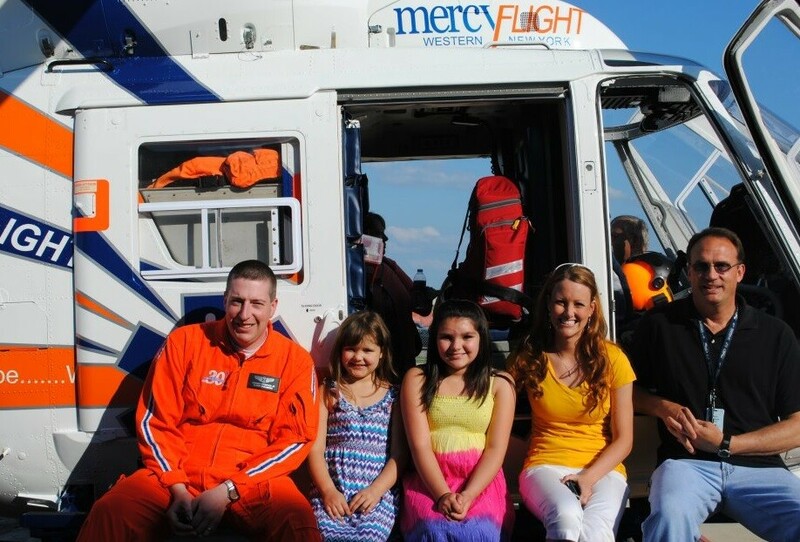 But, when a screaming Maddy suddenly went limp, Mercy Flight personnel decided they’d better transport both girls to Women and Children’s Hospital right away. At Children’s, Maddy was diagnosed with a rare basal skull fracture that tears brain membranes. Tori suffered an open head injury, multiple facial fractures and lacerations, and was later found to have sustained fractures to her hip, pelvis, and coccyx. After an extended stay at the hospital, Madison’s eighth birthday came five days after she was discharged, so her family describes that birthday as a “miracle”. Because the girls’ injuries were so severe, they both required continuing medical care. Madison later returned to the hospital, where doctors performed a craniotomy to relieve internal pressure on the brain. As a result of Tori’s open head injury, she contracted bacterial meningitis and was confined to a wheelchair for six weeks.